There are many gardening tools that are basic requirements for all gardeners, however, a key item in any collection must be a high-quality digging fork. Essential for turning over the soil, every keen gardener, whether professional or amateur, knows how important it is to have one so that their garden can stay looking great all year round. 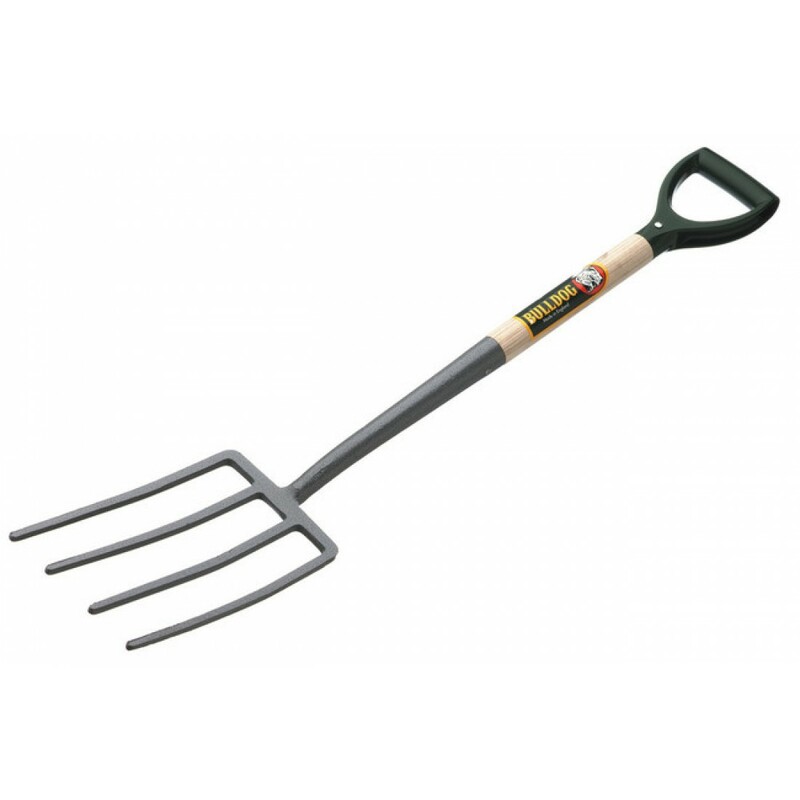 If only homegrown British quality will suffice, this 4-pronged digging fork from the well known and popular Bulldog brand really hits the spot. Manufactured from durable, excellent materials, this garden digging fork is a classic which will stand the test of time. It features a strong handle and shaft manufactured from durable ash wood as well as a head that has been solid forged to guarantee robustness and resilience in every application. The plastic handle has a comfortable D grip, allowing for easier use and facilitating a more convenient hold. Measuring 28 inches in length, the handle is long enough to prevent excessive stooping while digging, while the head - which measures 5.5” x 9” – is the perfect size to increase functionality and productivity. Forged in the UK, this traditional garden fork is made to top manufacturing standards, and is well up to the task of keeping your garden looking its best throughout the year.